Luxations and avulsions of the teeth occur when the tooth is dislocated or displaced from its normal position, usually a result of trauma. Most often trauma occurs from inadvertent baseball bat or golf club swings, animal fights, or after a pet is hit by a car. 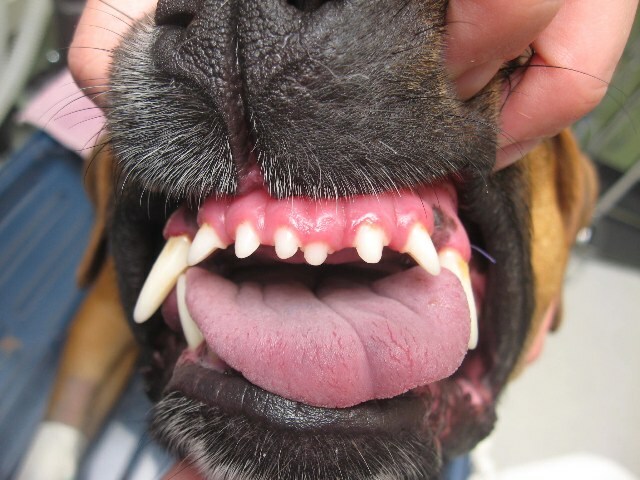 The patient's right canine tooth (seen on the left in photo) was dislocated after a dog fight. Replacement and reimplantation of an avulsed tooth can sometimes be performed but needs to be done very soon after the injury (i.e. within 2 hours ideally). 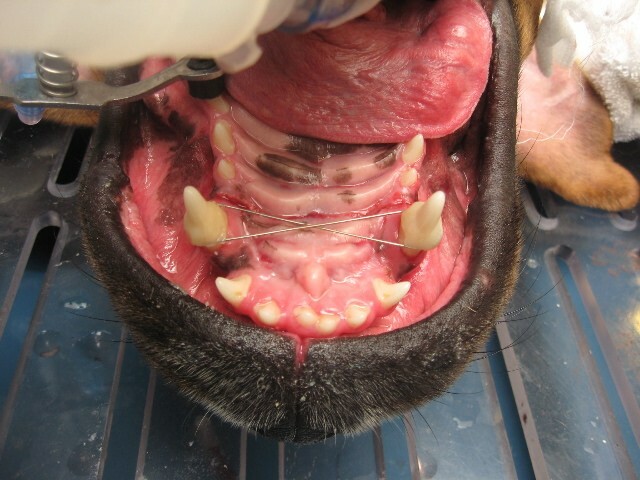 If the tooth completely falls out, the tooth should be placed in milk or saline for transport to the veterinary office. Following replacement of the tooth, endodontic therapy (root canal therapy) will also be necessary to save the tooth. Reimplanted teeth are stabilized (as in picture to above left) until the tooth socket fibers regenerate and reattach.